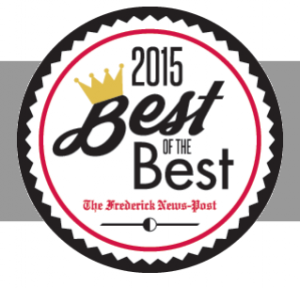 We’d like to thank our valued customers for nominating us as one of the Top 5 Plumbers in the Frederick News-Post 2015 Readers’ Choice Best of the Best! Our goal with each service call is to come away with one more satisfied customer, so knowing we’ve done that time and time again is truly a blessing. We hope you will help us to make it to the top! To vote for Putman Plumbing, you can cast your vote at fredericknewspost.com/BOB. And while you’re there, vote for your favorite Frederick County businesses in other categories. Winners will be announced September 30th in the Best of the Best newspaper insert, so stay tuned!